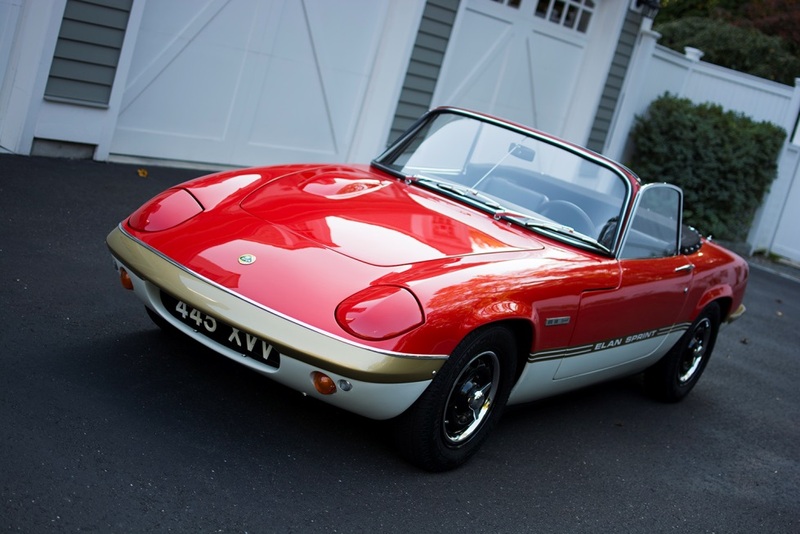 Norwalk, Conn. – Renowned local car collector and vintage race car driver David Porter will be displaying his 1971 Lotus Elan S4 Sprint roadster in the Father’s Day Car Show at Mathews Park in Norwalk on June 19, 2016 from 10AM to 3PM. Porter, who resides in Darien, restored the car from virtually barn-find condition over a period of three years doing all the mechanical work himself. The car represents the last iteration of Colin Chapman’s Elan S4 series of cars originally introduced in 1968. 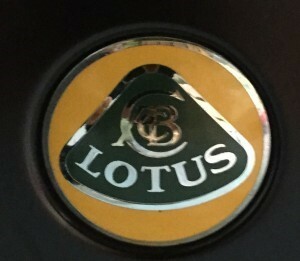 The unique paint treatment on the Series 4 Sprint models was meant to evoke the Gold Leaf cigarettes livery of the company’s Grand Prix cars which had won multiple world championships. David Porter is well known at local car shows both for the Lotus and also his immaculate Jaguar XK-150S which won both the People’s Choice Award and the Coachmen Car Club trophy at last year’s NEAM Father’s Day show in Norwalk. The S4 Elan was introduced in 1968 and can be distinguished from its predecessors by its slightly flared wheel arches, wider tires, and Jaguar tail lights. The S4 also had an aggressive-looking bulge in the bonnet to house the Stromberg carburetors. The much anticipated Sprint version was announced in 1970 at the Earls Court Motor Show, and promised more power for the 1971 cars. Ex-BRM engineer Tony Rudd was able to squeeze an incredible for the time 126 horsepower out of the little 1600 Twin Cam, labeled the ‘Big Valve’ engine. 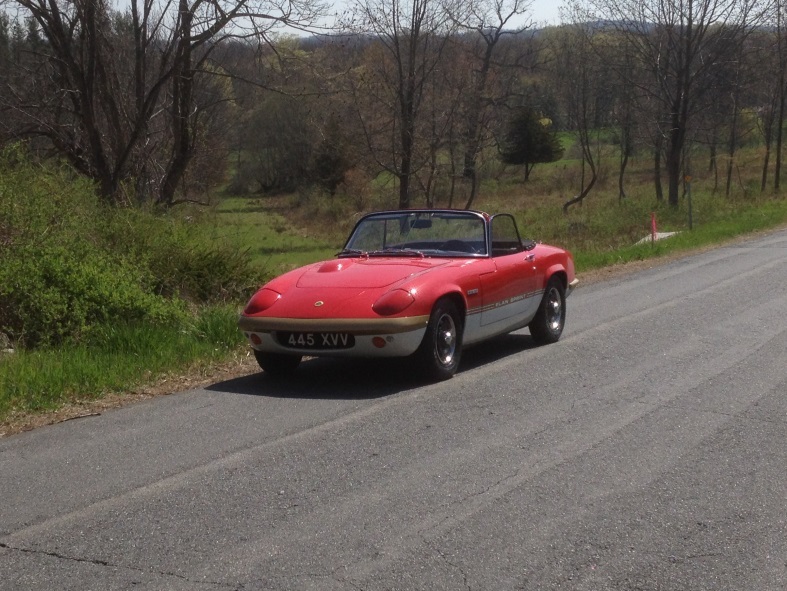 This gave the 1,500 pound Elan lively performance and demonstrated yet again the advantage of adding lightness. It bears repeating that the Elan is an extremely important car. 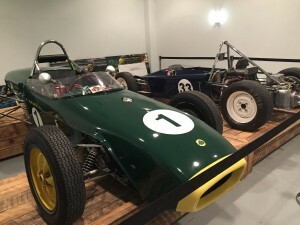 The classic Ron Hickman design was actually the first Lotus to utilize the famous backbone chassis, and the way the car perfectly captured the essence of ’60s British motoring was recognized decades later by Mazda in their development of the original Miata. 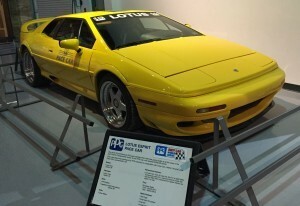 It also helped establish Lotus as a legitimate manufacturer. David Porter’s car has been stunningly well restored and is considered an almost perfect example of the S4 Sprint model. It won its class in 2015 at the Lime Rock Historics concours and has won recognition at several other shows including the Alden Sherman Classic in Weston, CT. Anyone interested in showing a car at this year’s Father’s Day Car Show may pre-register HERE – it’s only $10/per car to pre-register ($15 at the show entrance). Spectator admission is free. Dash plaques will be available for the first 100 cars to register.